Combine in a blender or food processor. Light grill or broiler and cook flank steak 4 -7 minutes per side or until desired doneness. 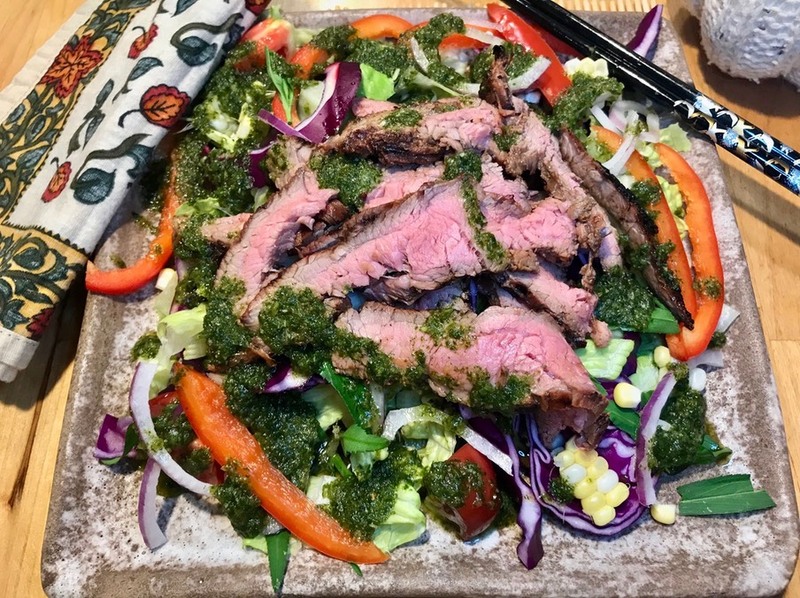 While steak rests after grilling, combine dressing ingredients in the blender and cut vegetables for the salad – both can also be done ahead of time for ease of preparation. Arrange salad ingredients on a large platter and slice steak into thin slices across the grain.